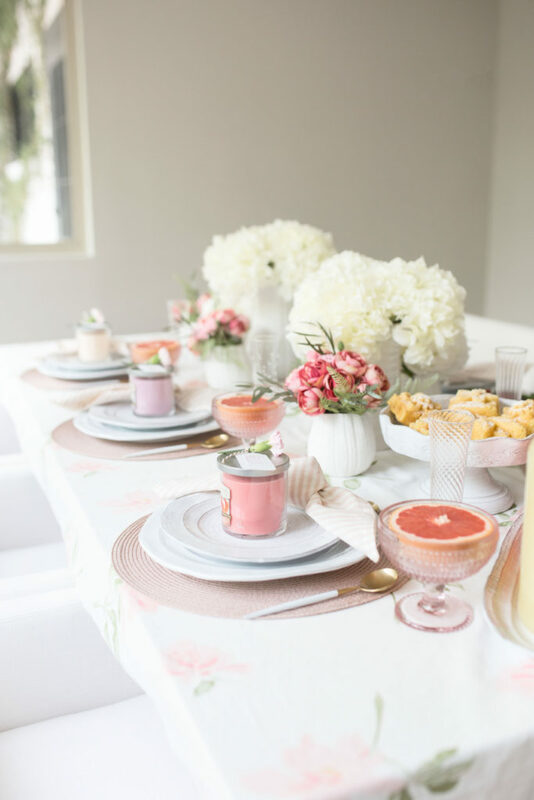 Setting a brunch table doesn’t have to take a long time, and it can be done days ahead of time – one less thing to do the day of your event! I love to entertain. Whether it’s family, friends or a combination of both, just the idea of being able to host people at my home inspires my creative soul and feeds my need to nourish. 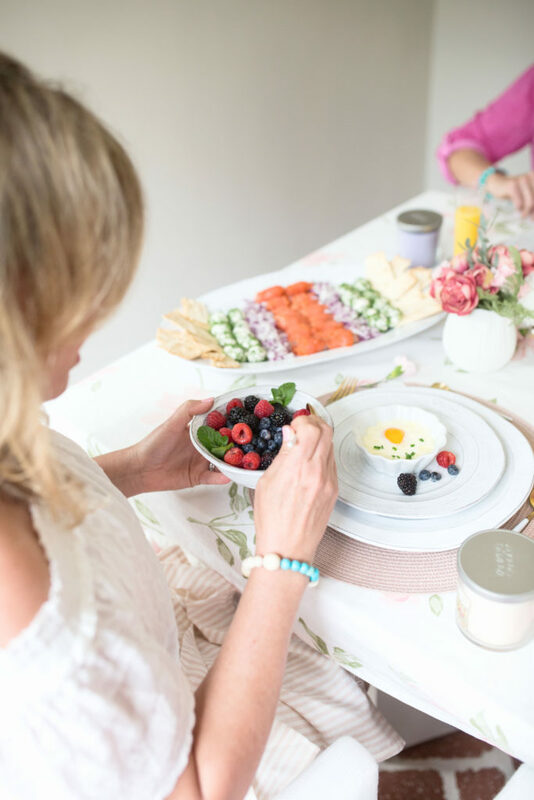 Brunch is one of my favorite meals to host – and while it’s not breakfast, and it’s not lunch, there’s always something for everyone at this mid-day meal. Yes, there are some decadent dishes here, but there a few fun and easy ones that won’t make your guests feel like they have had a huge carb overload. 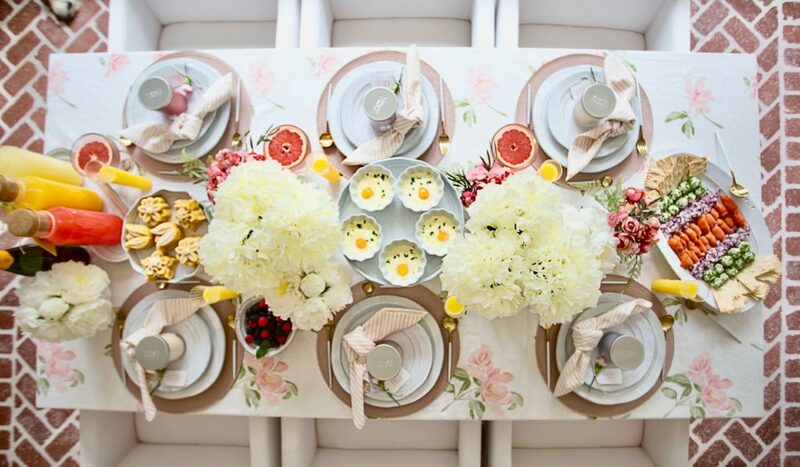 Keep reading for tips on how to throw to the ultimate weekend brunch! 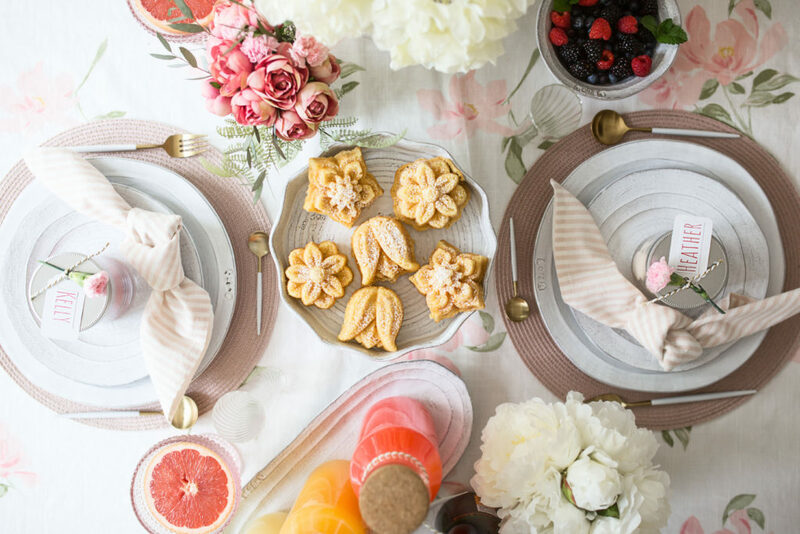 Who wouldn’t love to come over to a brunch spread like this – Scroll down for a guide on how to do it! Sitting down to a favor with your name on it is such a treat! 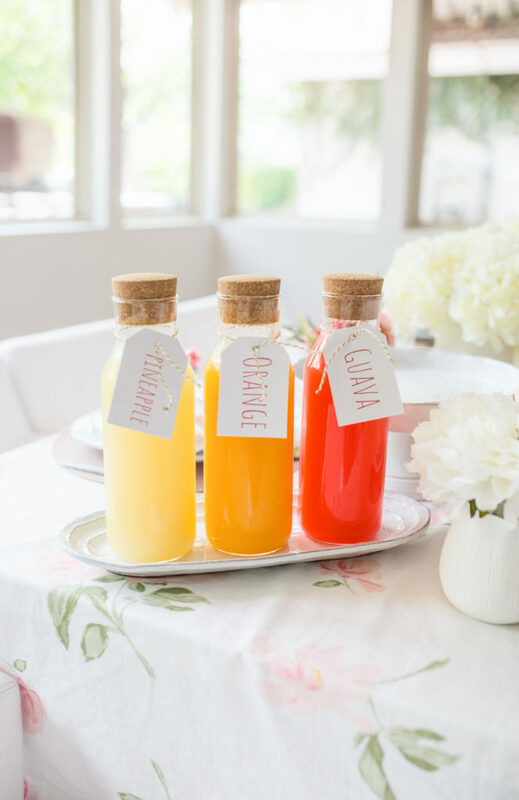 Tip #1: A small gift at each place setting is such a nice way to welcome your guests. consider placing a name tag on the gift, which will double as a place card as well. 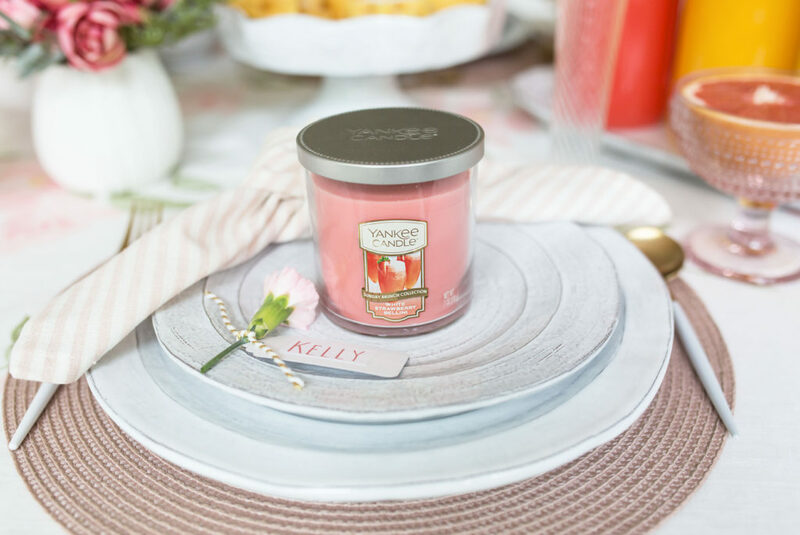 Everyone received a candle at my brunch – and every scent was different. My guests had fun comparing each fragrance! Tip #2: Serve Family-Style. If you let your table also serve as the buffet, it’s much more convenient for your guests. All of the dishes are already on the table and becomes part of the centerpiece – no need to get up for your food! Everyone’s free to grab whatever like they’d like off the table and pass it on! Tip #3: Choose foods that can be prepared ahead of time. This allows you to mingle with your guests, instead of being in the kitchen fixing last-minute dishes. 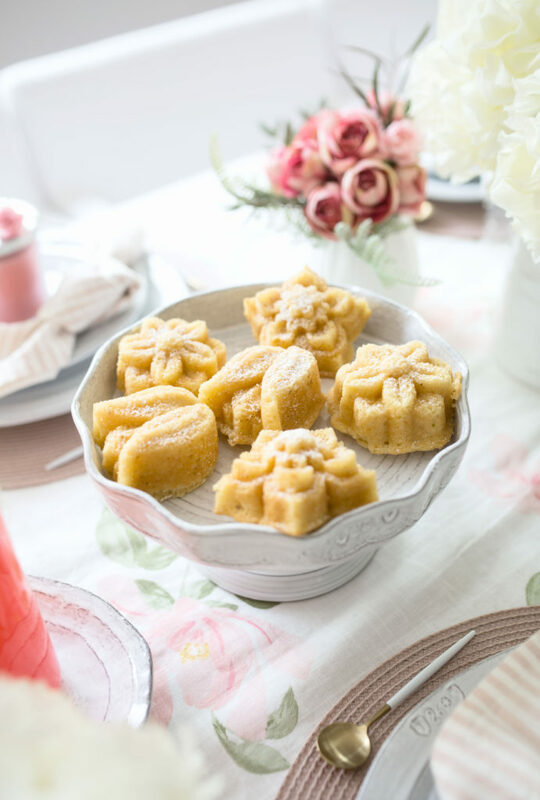 How cure are these mini-bundt cakes in flower shapes? I used a box Meyer Lemon cake mix and simply sprinkled with powdered sugar. Another bonus: I made the these the day before to save time! 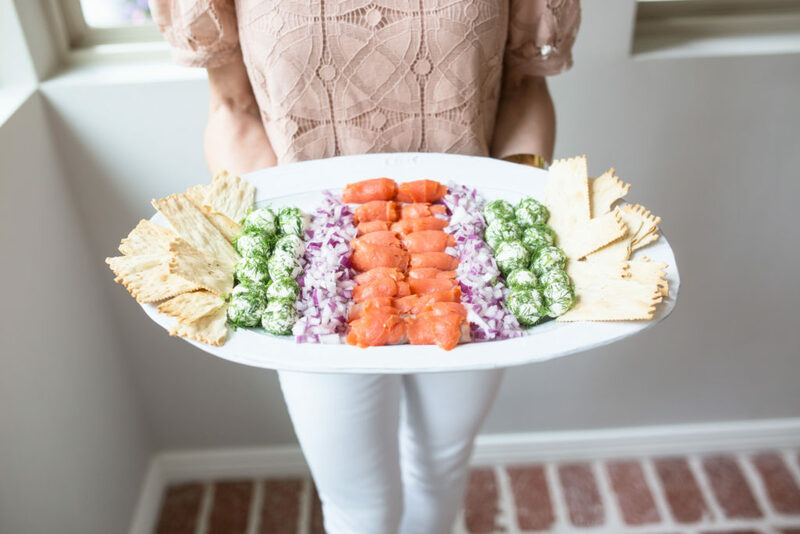 How gorgeous is this lox platter? I started with spiraled lox in the center, chopped red onions, cream cheese balls rolled in dill, then finished with rosemary crackers on the end for a stunning presentation! Tip #4: Set your table a few days in advance, making sure to save room for your serving dishes. That way, you know what you may be missing and what you need space for! Can you tell these florals are a mix of faux and real? 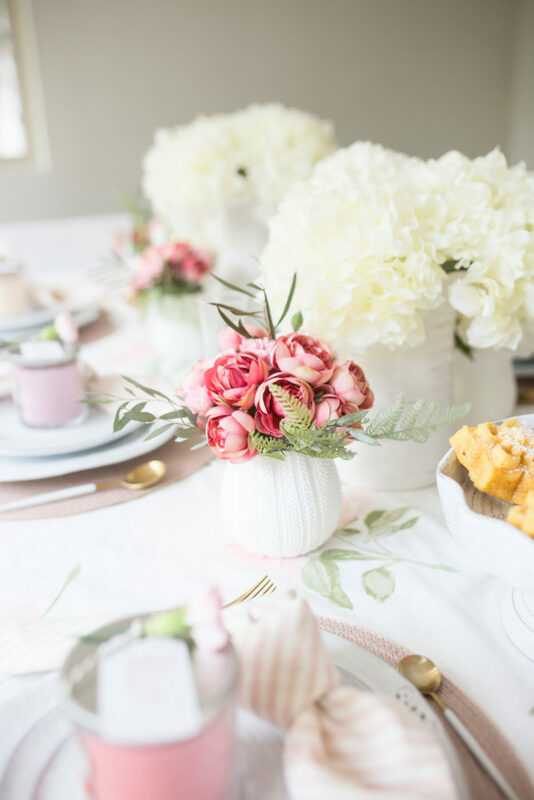 None of my guests could – let’s keep that our secret! Just buy a small bouquet and selectively place the real flowers in the gaps. Repurposing at it’s best! 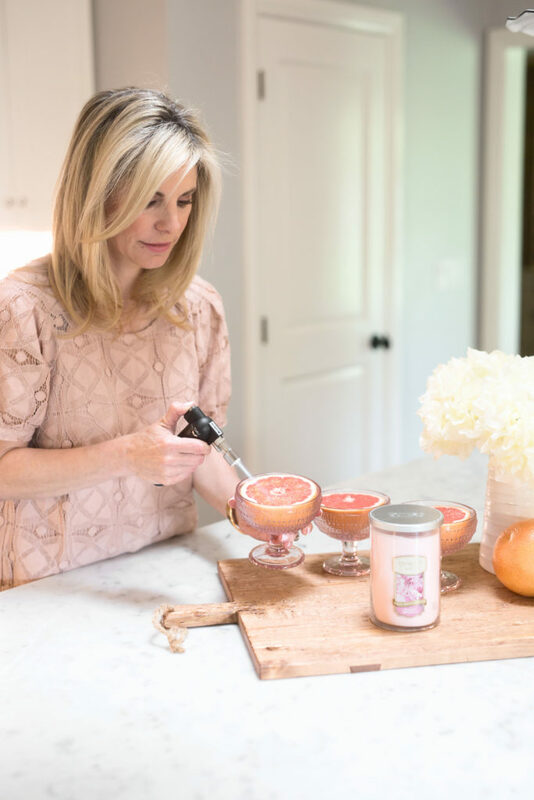 I like to light candles on my kitchen island to set the mood for my guests the minute the walk in the door! Ever heard of Grapefruit Brûlée? I used a small kitchen torch to caramelize raw sugar for a beautiful golden crunch. Sprinkle about one tablespoon of raw brown sugar on the top of a halved grapefruit, and melt until crisp. Also great for melting cheese and blacking tomatoes for a smoky taste! 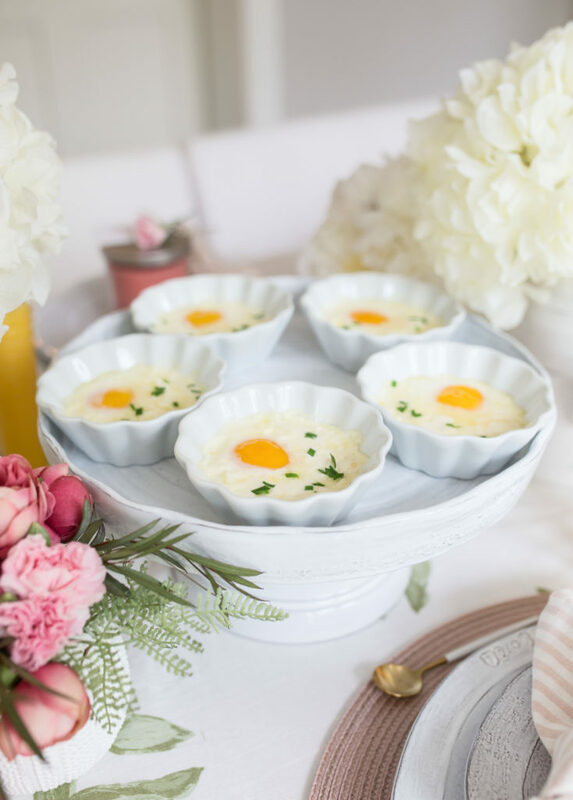 The delicious food and airy decor came together beautifully for a the ultimate weekend brunch that is easy to replicate – hope you can use these tips to recreate one of your own! 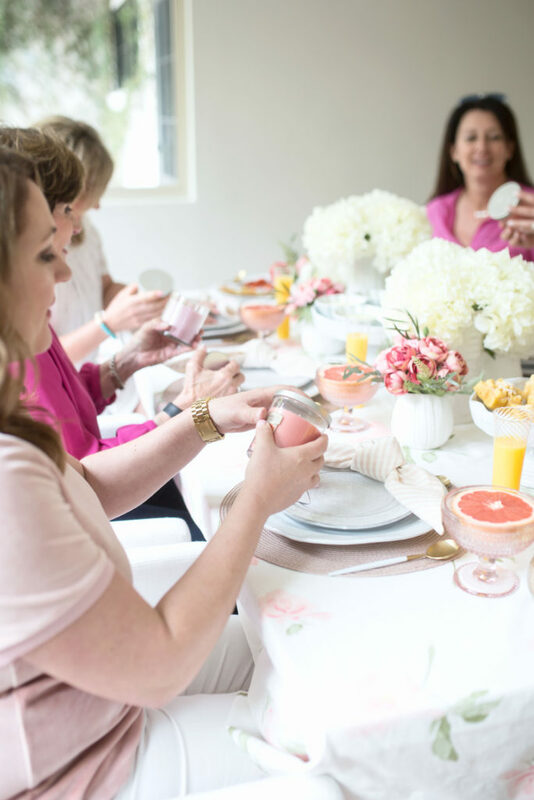 For more brunch recipes, check out my post on a Stylish Rosegold Brunch Celebration. 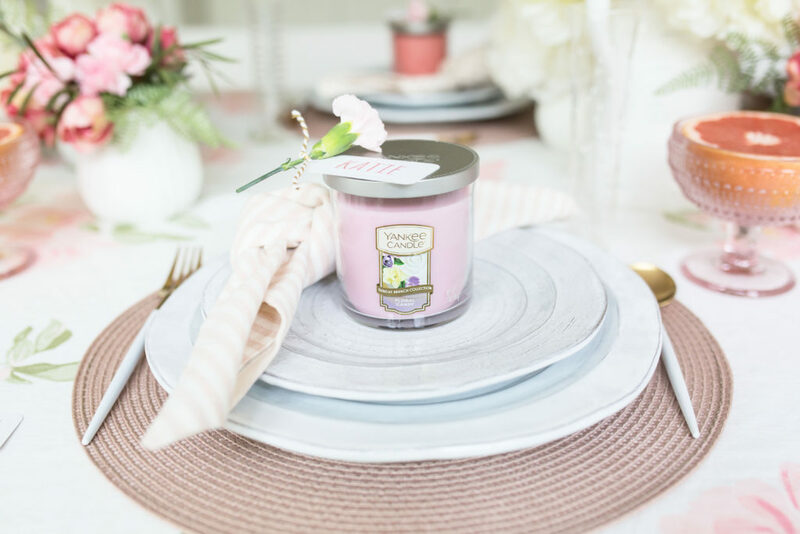 This post was created in collaboration with Yankee Candle. This is so pretty-a feast for the eyes. 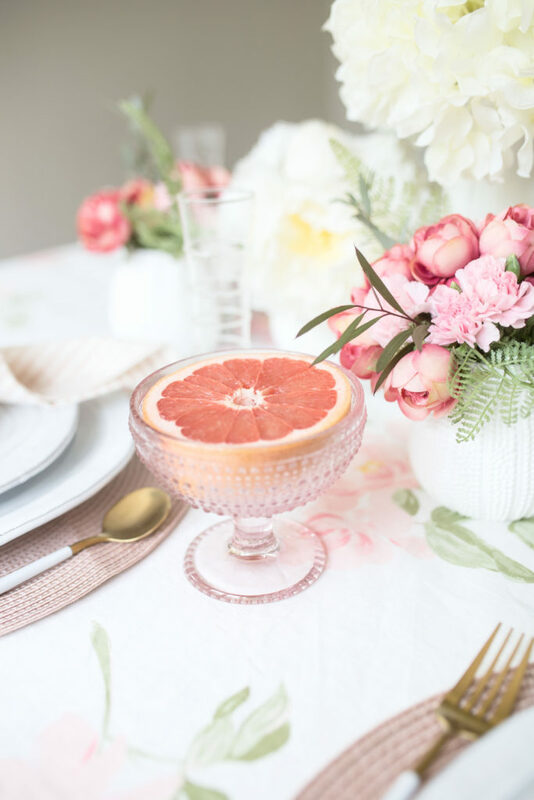 Please tell me where you sourced your pink footed glass bowls that you used for the grapefruit. Thank you!